It was my honeymoon trip in the month of June and could not have been better than this. Excellent ambiance, quality food, helpful staff, very good amenities and awesome location and view in Jibhi Village. "I missed all these years." A memorable place in serene surroundings , i had missed on my previous visits. Hotel Cedar View is far away from just 7 Kms from Banjar Bus Stand, not a big deal on a nice trek. Breakfast is of fine standards. Its a place where big groups and families can check in as its spacious place. It was very excellent trip at Cedar View Hotel...Enjoyed Thoroughly...Surroundings were very good. Cleanliness, Room Service, Food, Staff are strength of this resort...really like this place and remarkable places at Jibhi Village. Experience here was awesome. 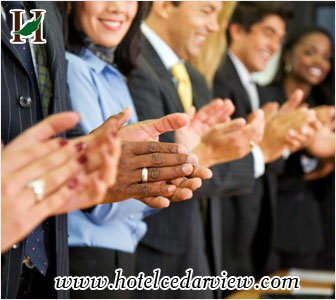 Hotel Cedar View has considered everything to give excellent experience and memories for their guests. Everything was good, service was too good. Hope so we want to come again. Ambience was very good. Location & views of Jibhi Village was so attractive & facilities of rooms was worth able. I really recommend this property to every one. It is worth staying in Fog Hills. Hospitality was very excellent. Well managed & equipped. It was excellent stay with excellent hospitality . Rooms were very neat & tidy. View from room is fantastic, keep it up. Would like to stay again. "Very good location & interior. Good service." "Excellent, no chance of any complaint,100% ok."
"Amazing location. Co-operative Staff,gud experience keep it up."